On November 13, Narimanov District Court, chaired the judge Turgay Huseynov, considered the petition to extend the detention term of Azerbaijan Popular Front Party (APPF) Presidium member Mammad Ibrahim. The Court ruled to extend the sentence by one month. This decision follows a new charge under Article 221.2.2 of the Criminal Code (hooliganism involving resistance to a representative of the authority or another person protecting public order or preventing its infringement). Background: Mammad Ibrahim was detained by police on September 30, 2015, following a complaint made by Mikayil Guliyev. 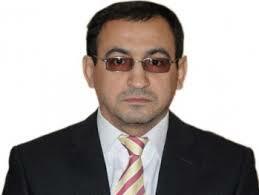 He was taken to Branch #18 of the Narimanov District Police Office, where his statement was taken and he was released. However, Ibrahim subsequently detained again and taken to Narimanov District Police Office, where he was told that he was being detained as a suspect. A criminal case has been opened against him under Articles 221.1 and 221.2.2 (on hooliganism) of the Criminal Code.